Amazon outs new Kindle with 6-inch display and Bluetooth audio. Amazon today launched the all-new Kindle, making its most affordable reader thinner, lighter, and with twice the memory as the previous generation for the same price, just $79.99. 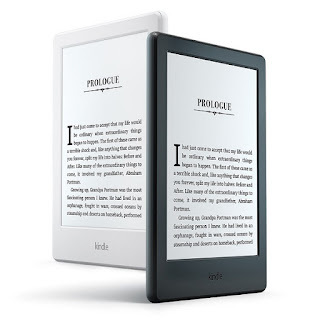 The new Kindle is offered in your choice of black or white. 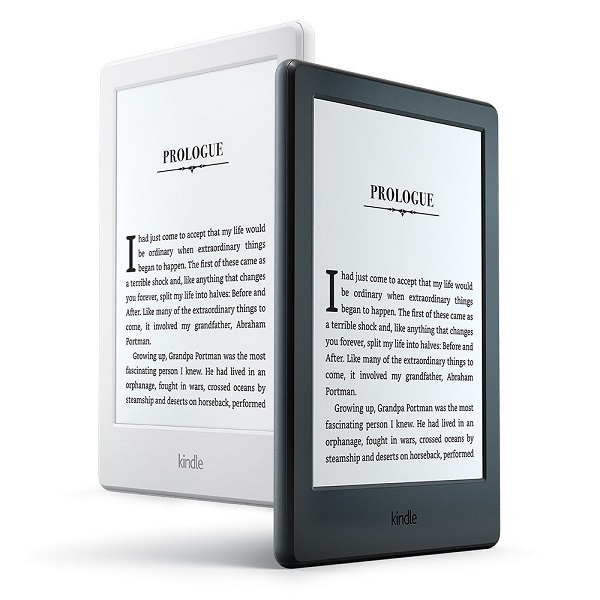 The all-new Kindle comes with 6.0" display and 4GB on-device storage. It features a more rounded design, making it easy and comfortable to hold in one hand at any angle for extended reading sessions. Unlike reflective tablet and smartphone screens, the high contrast touchscreen display on Kindle eliminates glare in any setting, even in direct sunlight. Recent studies have shown that evening exposure to blue light from backlit screens like tablets and smartphones can suppress the body's production of melatonin, a naturally occurring hormone that helps the body fall asleep. Because the Kindle display emits no light, you can read anytime without losing sleep. Like all Kindle e-readers, the all-new Kindle has a battery life that lasts for weeks and not hours. Export Notes-It's now easy to export notes and highlights from a book to your e-mail, so you can always have them on-hand for reference. Receive your notes both as an easily printable PDF that's ready to bring to your book club, and as a simple file you can open in your favorite spreadsheet app. This feature will be available as part of a free, over-the-air software update in the coming weeks. Built-in Bluetooth audio for accessibility-The first Kindle with built-in Bluetooth audio support, Kindle makes it possible for visually impaired users to use the VoiceView screen reader on Kindle to read the content of the screen-including reading books and other Kindle content-without the need for an adaptor. This is enabled through a new out-of-box experience specifically for visually-impaired customers that allows them to pair their Kindle with Bluetooth headphones or a speaker. Chinese Word Wise Hints-Choose between English and Simplified Chinese Word Wise hints by changing the language in Word Wise settings. Personalized Home Screen-An updated interface and navigation makes it even easier to discover your next favorite book, manage Wish Lists, and see recommendations from friends via Goodreads. The all-new Kindle is priced at $79.99 and is available for pre-order around the world and will start shipping in the coming weeks. Pre-order now at www.amazon.com/kindle.